Since the late 19th century, psychoanalysis has been a tool that leads victims of trauma to a refreshed state of self-discovery, and now psychoanalysts are focusing on societal factors that oppose the development needed to find effective solutions to social problems. Nowadays, it can be easier to seek simple solutions to complex problems. However, a psychoanalytic lens allows society to view social justice problems, such as oppression, marginalization and misuse of power, for what they are, instead of as individual issues. 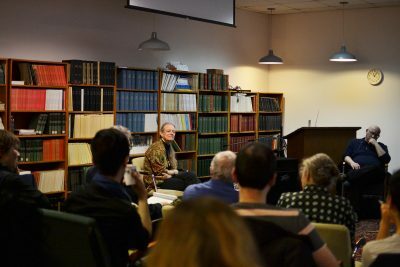 Marilyn Charles, co-chair of the Association for the Psychoanalysis of Culture and Society and a psychologist at the Austen Riggs Center in Stockbridge, lectured on trauma, identity and social justice on Saturday at the Boston Graduate School of Psychoanalysis in Brookline. Prejudice, intolerance and stigma are often hidden beneath society’s everyday consciousness, preventing others from understanding the context of struggling individuals’ problems, she said. Projected identification is when the good or bad is located only in the other, and cannot be recognized by oneself, Charles said. At the group level, these false projections create social structures that are unstable and oppressive for both sides. Jane Snyder, president of the Boston Graduate School of Psychoanalysis, explained how society is still subgrouped because there is no encouragement to come together. Charles worked with a young woman, Virginia, whose identity development was hindered by her parents’ inability to recognize the source of her distress. “Virginia’s madness was a tragic presumption,” Charles said, calling Virginia’s engagements with her parents a “painful confrontation” between two stories at odds with one another. It was difficult for her parents to realize that Virginia might have been injured under their care, but with the help of a therapist, Virginia was able to resist the diagnosis of schizophrenia, make sense of her symptoms and “oppose the medicalized truth with the truth of her experience,” Charles said. Studies prove that there is a link between identity development and parent-child relationships, Charles said. Early interactions with caregivers help children make sense of self and experience, and disruptions to this development can become traumatic. The process of learning is more important than the actual content, so “we must accept the child’s language and limits without forcing meaning into words beyond the child’s capacity,” Charles said. “Instead of ignoring or moving on from a problem, parents must come to terms with difficult experiences so that they can be a resource for children during their crucial identity development,” Charles said. Aboriginal cultures are also at risk in a world where complicated histories of oppression have disrupted the passing along of cultural traditions, Charles said. Charles worked as a consultant to educators in New South Wales, Australia, working with aboriginal preschool children who were sent to residential schools, cut off from family, language and culture. These children were often victims of trauma, chaos and neglect. “For people with roots in more than one culture, it is crucial to integrate disparate aspects of identity because traditions help people see themselves in a larger cultural narrative,” Charles said. There is also a problem with the individuals who hold power and stand in the place of people’s own moral authority, Charles said. She noted that after President Donald Trump’s election, she saw groups of people unite and support one another because they felt marginalized. 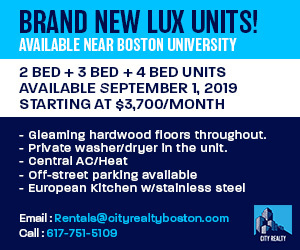 However, Julina Rundberg, 32, of Beacon Hill, said there is a generational disconnect which makes communication and the ability to find solutions to social problems difficult. Rundberg, a psychodynamic clinician and principal of Back Bay Analytic Group, LLC, said bilingualism is essential to speaking one’s own language and someone else’s as well, and that is erased in today’s models of education. “We’ve gone back to having this ancient guy running the show,” Rundberg said. “It’s like the baby boomers won’t get up and get out of the way and let the younger generations grow.